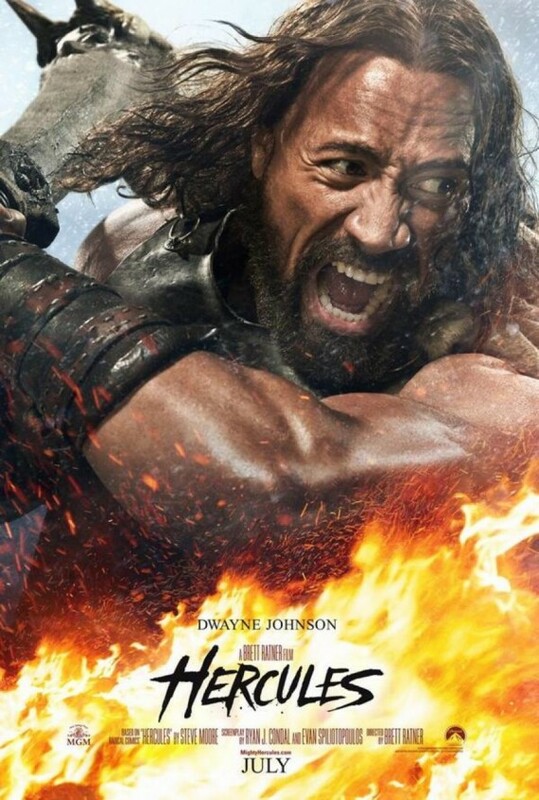 Directed by Brett Ratner and starring Dwayne Johnson in the lead role, this film version of the Greek demigod is a curious little beasty that while having a few entertaining beats, ultimately came off leaving me disappointed and worse – unsatisfied. It’s curious because it takes an interesting approach to the man. The mythological creatures are done away with and Hercules is merely a man wandering the earth with his band of merry warriors, seeking gold from anyone that wishes to hire them – and of course, they use the myths to strike fear in the hearts of their enemies. Dwayne Johnson is a charismatic actor and he pulls off what little range the script provides for him as Hercules. He’s limited but certainly not bad. Cheesy and yet serviceable, which not only sums up the cast on offer here – Ian McShane, John Hurt ham it up wonderfully – but also the film. What’s really disappointing here is that there is a lot of material to work with when it comes to the character and that this film could’ve gone a number of different ways while still exploring Hercules as a regular guy – which it does slightly but also no where deep enough to my liking. Yet the film goes down the bog-standard lacklustre road, providing what’s dazzling spectacle at first before falling into monotonous battle sequence without little life. By the time the climax of the film rolls around, I found myself watching the event on screen with a kind of weariness. Never was I on the edge of my seat, roused and in suspense. I wasn’t surprised by any developments that came because by that point, I was just disconnected from the film. I wasn’t in the moment, slashing the throats of folk, I was just outside the world of the story. Praise can be given to the visuals, no matter how over-saturated in CGI they are, and it’s not terribly lifeless so much so that I had to make the quick exit but it’s sort of just existing, rather coming to life and grabbing me by the heart and saying “Listen man, here’s the surprise”. A few dazzling moments aside this film version of Hercules lacks energy and a good cracking story to tell. Though the cast pull off a solid effort given the material, I left the cinema feeling it could’ve been pushed in a direction that was more exciting and featured a bit more creative spectacle, rather than what’s on offer here. At best, it’s a rental for a Friday night. Bring the pizza and a few drinks.